We are motivated by love and joy to help transform our land and peoples towards justice and peace! PAR is the heart of our ministry. RECONCILIATION. This is focused on building relationships between antagonists. The primary goal is to seek innovative ways to create a time and a place to address, to integrate, and to embrace the painful past and the necessary shared future as a means of dealing with the present. PAR MOVEMENT. Through the eyes of faith, we envision a PAR Movement based on salaam-shalom. We see our land enjoying a God-initiated wave towards a taste of salam-globalization. We see various peoples’ initiatives toward making our land and people harmonious in all their relationships. We see our local communities influenced by a culture of peace. This PAR Movement starts with a nationwide education, organization, and mobilization plan. Imagine. 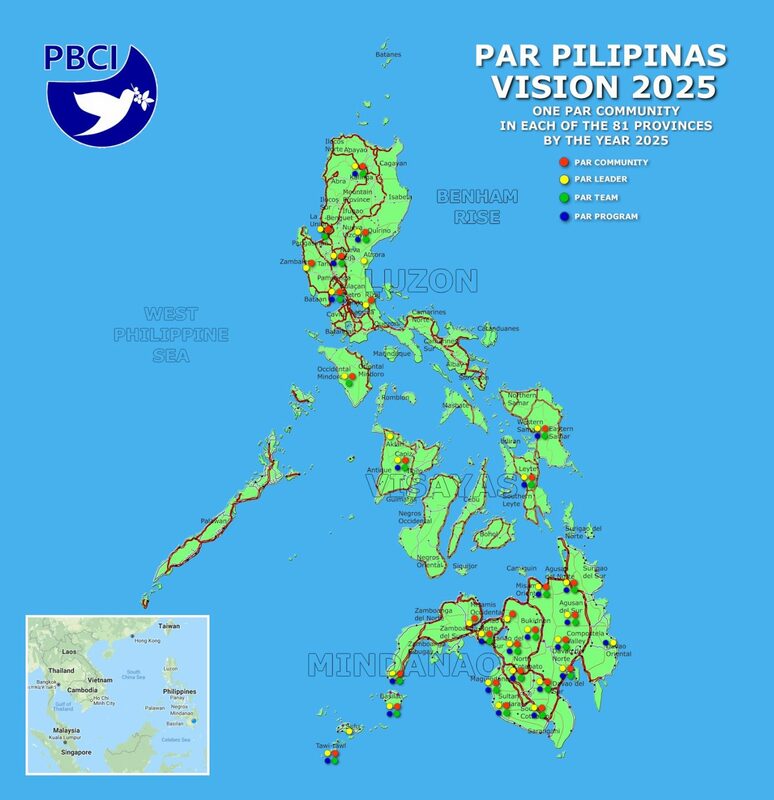 By December 31st, 2025, each of our 81 provinces will have a circle of God-fearing, justice-and-peace-oriented leaders called PAR Communities, who will organize, nurture, and oversee various PAR Teams, who will, in turn, implement just-peace oriented PAR Programs in their local contexts. This vision governs all the current activities of PeaceBuilders Community as indicated in our Field Operations Map. Because we see through the eyes of faith, we see a higher reality. We see so much hope! And we are motivated by love and joy to help transform our land and peoples towards justice and peace!